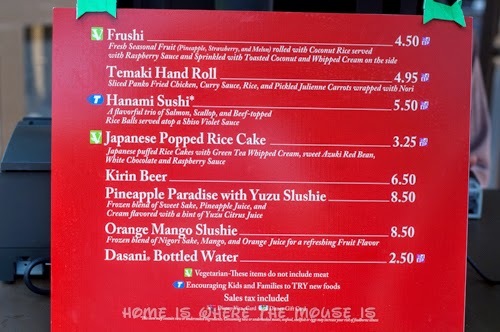 Frushi (fruit sushi) has been one of the most popular treats since the addition of Outdoor Kitchens at the Epcot International Flower and Garden Festival. This dish may look healthy, but it’s bursting with sweetness. It’s a great dessert that you don’t have to feel guilty about. 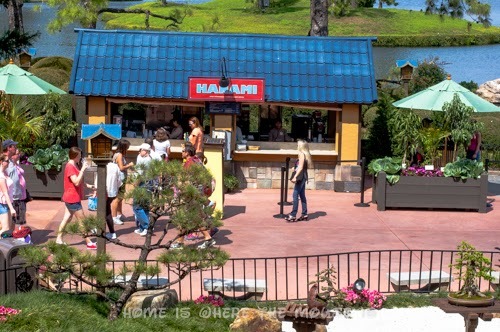 As you stroll around World Showcase, make sure to stop at Hanami in the Japan Pavilion. 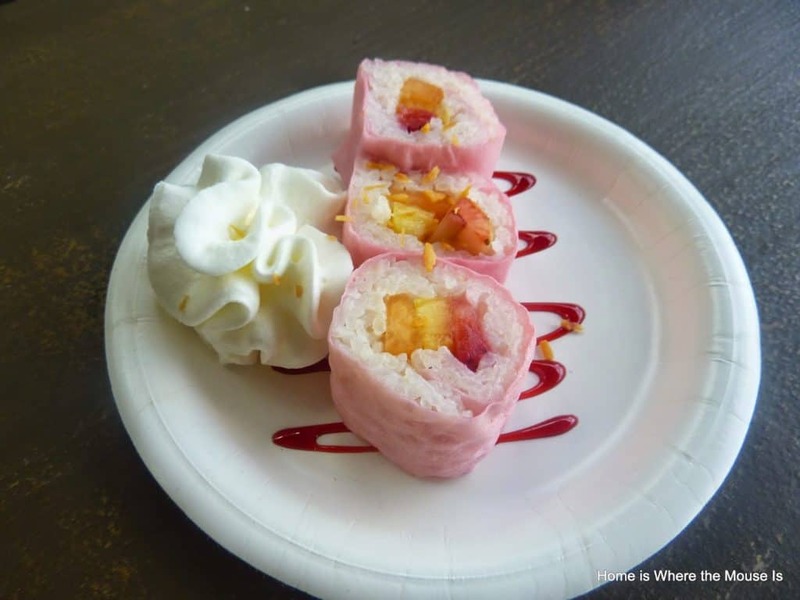 When we visited the festival last year, Frushi was on the top of our must-eat list. Since hearing about it, we knew it was something we had to experience. It was initially introduced as a part of Disney’s Try-it initiative, a program designed to get children to try new and healthy foods. 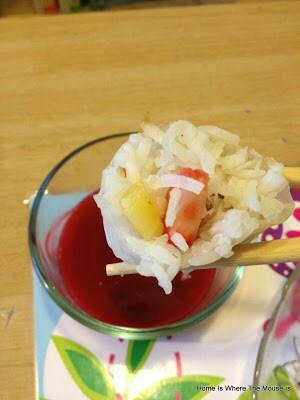 Frushi is seasonal fruit (pineapple, strawberry and melon) rolled with coconut rice and served with raspberry sauce. It is accompanied by a dollop of fresh whipped cream and topped with toasted coconut. All of this goodness is held together by a pink soy wrapper. I made my own at home version of Frushi even before trying the original. Comparatively speaking, I think I did a pretty good job with our at home twist. 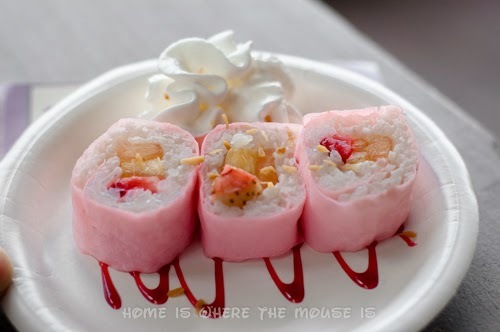 Once you try Frushi once, you’ll want to have it all the time, so I highly suggest trying to make it at home. Your kids will love it! Oh i love this stuff, but never tried it at home. Yours looks amazing! Thanks for sharing and linking up with Favorite Food Friday! !